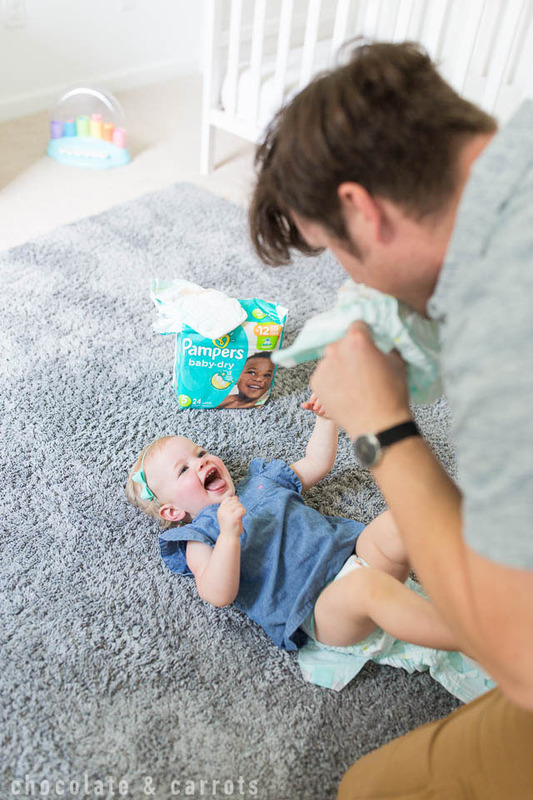 I’m honored to be a member of the Pampers Baby Board, sharing all about dads on diaper duty to celebrate Father’s Day. Thanks Pampers! For more information, please visit www.Pampers.com or follow @Pampers on Twitter and Facebook or @PampersUS on Instagram. 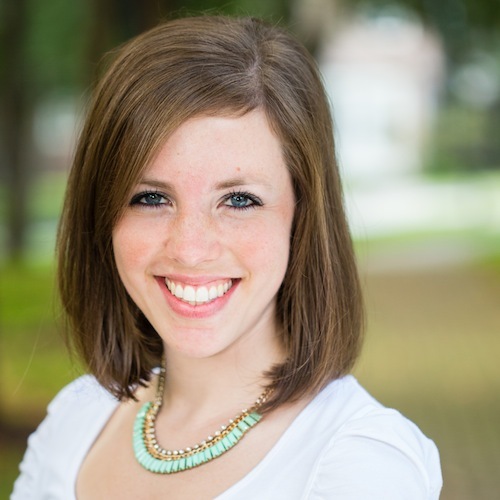 Please see more disclosures at the bottom of this page. I know everyone says they have the best dad in the world, (I love you, Dad!) but I can’t emphasize enough how lucky I got with having the best partner in the world for me and father for our children. He’s always up for my crazy adventures (including going to Disney twice in one month! ), helps me with the kids whenever I need him and is the greatest jungle-gym our kids could have! After watching the movie, Pleasantville, many, many years ago, I’ve always had a thought in the back of my mind that I am a 1950’s gal growing up in today’s world. I’m all for feminism and equal rights, but it’s never bothered me (more like a privilege) to be a homemaker, caretaker, child rearer, cook, nurse…aka mom. However, I LOVE the fact that it’s 2018 and my husband and I are equals in parenting. We often spend nights talking about our children: celebrating milestone successes, brainstorming ways to cope with challenges we face with them, remembering when they were little and planning for the future. Great father, I tell you! We are fortunate that he works from home now and he gets to see all the special milestones with each child. He even gets to witness the joys of seeing the kids when they wake up from naptime and even the main Olympic events of the day: changing diapers. 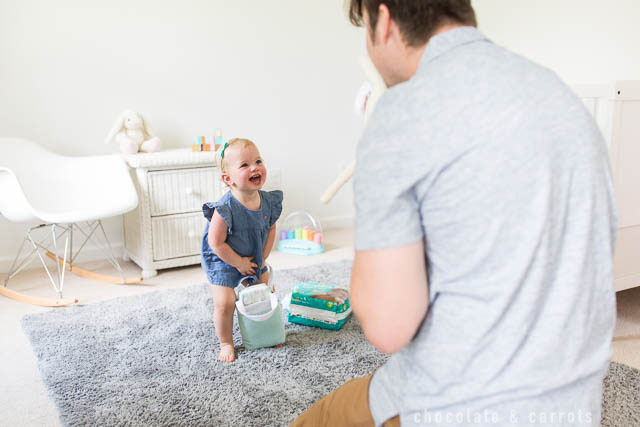 It took a few years for him to get the hang of changing diapers (aka masterful distraction and multitasking at its finest) and like all things parenting, he does it in his own way. When he’s changing a diaper, I am guaranteed to hear lots of laughter from the next room and the very rare, but equally amusing, “Caroline! Help!” Those have been more frequent since we had Blaire. She’s the master of quick hands diving straight into the diaper and the tricky thing that is changing a baby girl’s poopy diaper. What can I say, she loves her produce. Logan is all funny faces, zerberts (or raspberries) to the belly and pick-a-boo’s to get the job done. It’s always a fun time when daddy has #StinyBootyDuty! 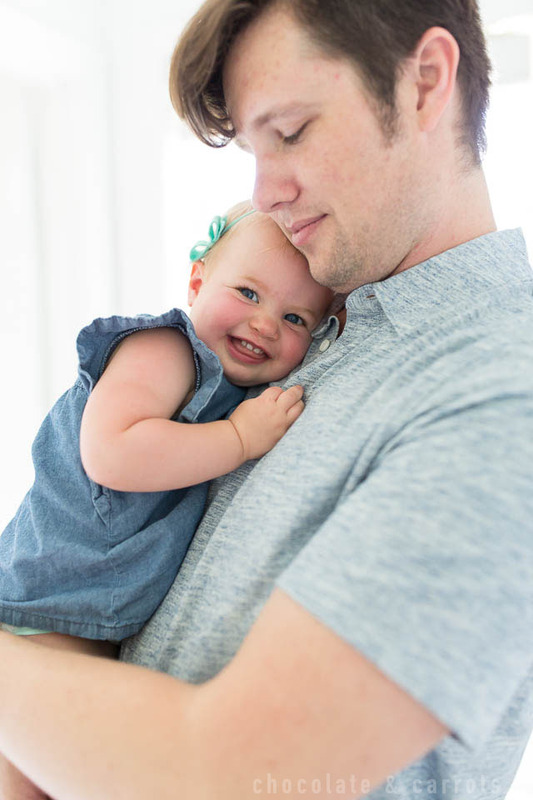 What a wonderful feeling to have such confidence in our choice of diapers: more play time and less worry. We always trust that our babies will stay dry and comfortable all day and (hopefully LONG) night. 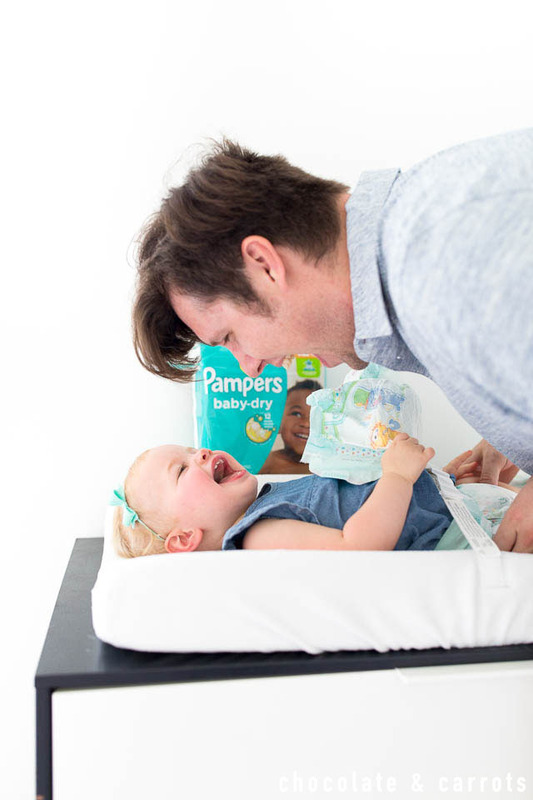 Pampers diapers undergo extensive testing with pediatricians, dermatologists and moms to ensure products meet and exceed the needs of their most important customers – babies. I learned about all of this and more (including all the science behind the Extra Absorb Channels when they first introduced it) when I went to Pamper’s headquarters a couple of years ago. Such amazing stuff! The Pampers Baby-Dry diapers are enhanced with Extra Absorb Channels yet it is the same diaper you have come to trust to give your baby up to 12 hours of overnight protection. You’ll notice a nod to the Channel Innovation on the upper right hand corner of your Pampers pack. Woot! Ordinary diapers may get wet and bulky through the night, but Pampers Baby Dry provides up to 12 hours of protection and exclusive Extra Absorb Channels for a comfortable fit. Just take a gander at your baby’s used diaper in the morning and check out the Extra Absorb Channels in action. It’s pretty amazing! 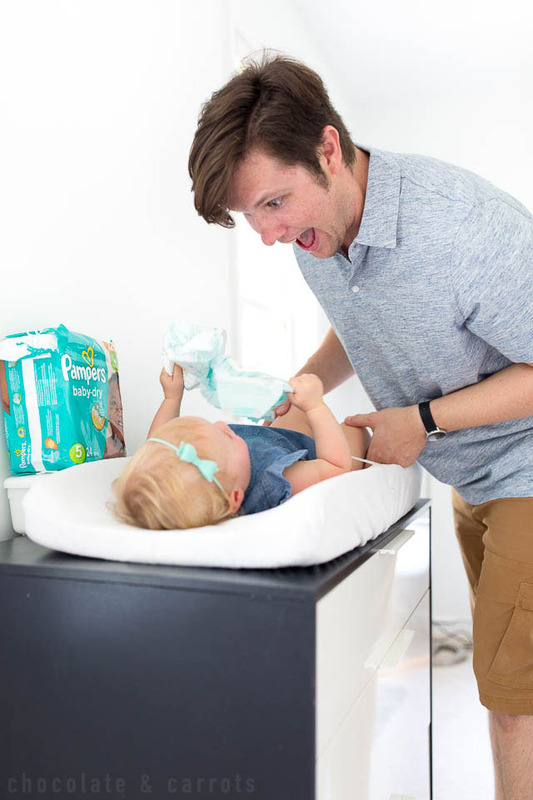 Now that you know all about my husband’s diaper duty methods, please share yours! 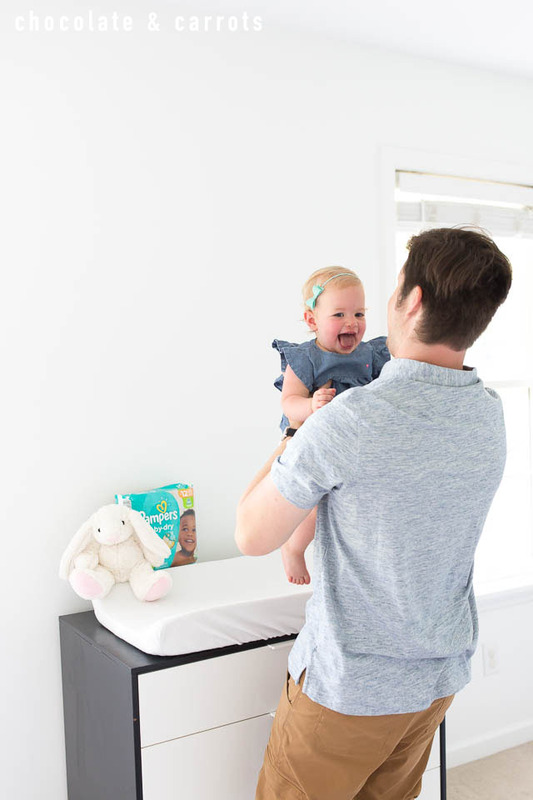 What’s your diaper changing routine like, daddy?